The Award for Future Films along with an homage have become somewhat of a Kustendorf tradition. 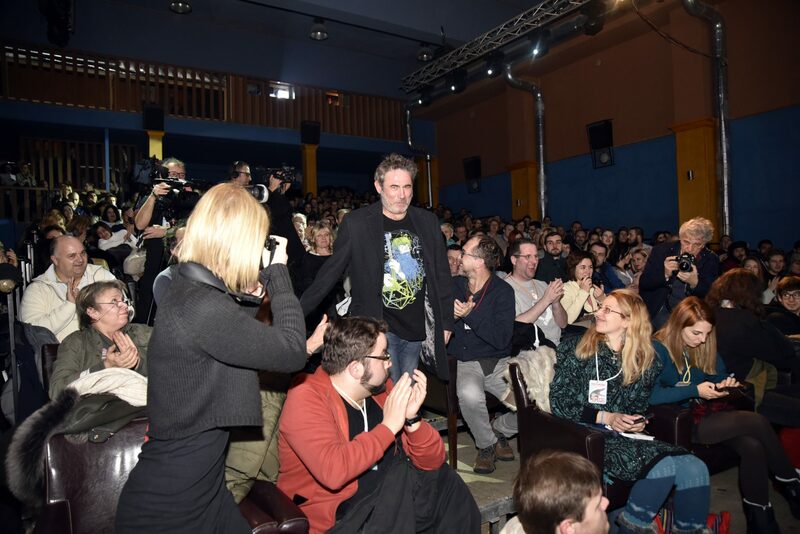 This year, Professor Kusturica gave the honor of this award and homage to Sergi Lopez, celebrated Spanish actor. Professor Kusturica said that the number and quality of Sergi’s roles borders abnormal. Lopez, who was very moved, told the Professor that he cannot even imagine how crazy it was for him to come to this Festival and how important this award was. At the end of the award ceremony, Professor told Sergi that his life could become even crazier and invited him to act in his next film. After the award was presented, the audience could see the film Happy as Lazzaro.